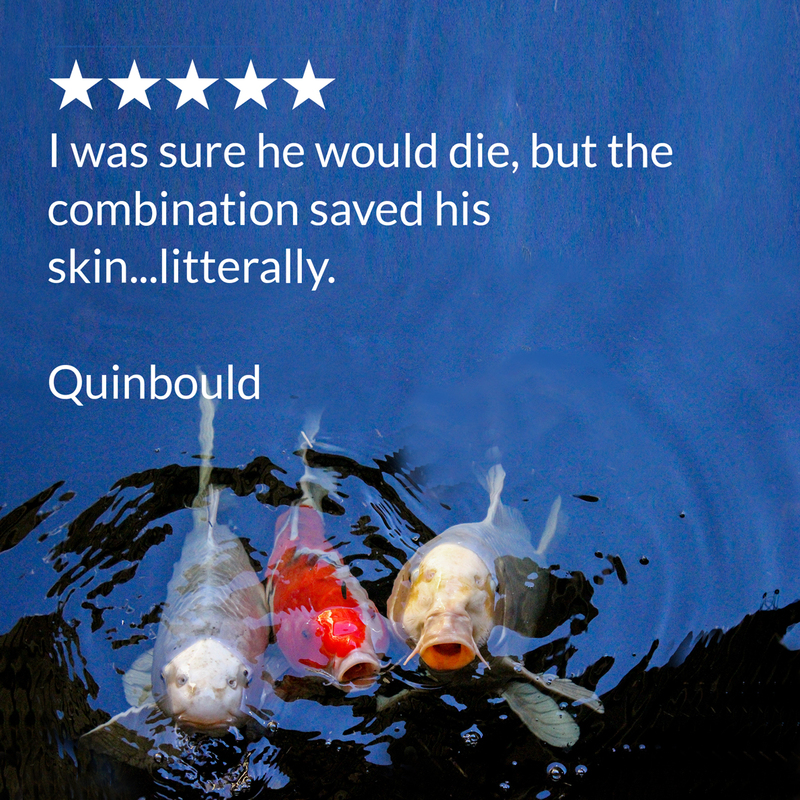 All-natural formula containing Pimenta racemosa rapidly treats fungal infections on body and fins of pond fish. Also treats internal and external bacterial infections. 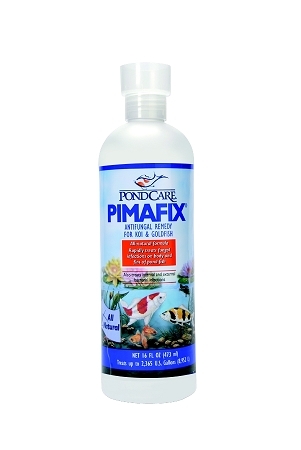 Pimafix has been formulated to work in combination with Melafix to enhance effectiveness against fish diseases. Excellent when used with Melafix as 1-2 combination for treating both bacterial and fungal infections at the same time. Wound already present will heal much faster when both Pimafix and Melafix are used in combination.